We hope you enjoy this issue’s special feature encompassing Women You Should Know. This series highlights a few of the many accomplished ladies involved in local industry. Whether they are entrepreneurs, directors, or support staff, they are a vital part of our local economy’s success. We hope you enjoy looking at these professionals’ lives in and out of work, as much as we enjoyed putting this section together for you, our readers. Do you WANT A SUBSCRIPTION? Send an email to subscriptions@ hometown-living.com and put SAL in the subject line to be added to our digital subscription list which will alert you to view magazines online at www. hometown-living.com. We want to thank our advertisers. Let them know you saw their ad in this issue! There is no better way to show HOMETOWN LIVING AT ITS BEST than to spend your hard earned money here in your hometown. This issue is full of great people in our community using their gifts for good in a variety of ways. We are each given different talents, but what good are they if we keep them to ourselves? Let your light shine by using those talents as you are called to do! What are your gifts? How can you put them to use today? A small act can make a big difference in someone’s life. I love this time of year. Although each new day really is a fresh start, most of us are not as intentional with that clean slate as we are in the New Year. Instead of resolving to eat healthy & exercise (which I should add to my list too) I want to resolve to be present with my family – including my extended family. Last year I copied and scanned every picture I could find from my 92 year old Grandmother and asked her to label the names of the faces as I pasted them to blank pages…these faces from the past brought our family to where we are today. It is a reminder that the decisions Matt & I make today have a ripple effect for our family tomorrow. In 2018 praying and resolving to make positive ripples! On behalf of San Angelo Lifestyles & our advertisers (see a full list in the back of this publication) we thank you for shopping local, not only during this past Christmas season, but year round. Every season has its benefits and joys, but summer alone allows, even demands, lazy days and late nights. While in the midst of my summer bliss, I was more than a little unnerved to see school supplies being put out before the 4th of July. But school is back in session, which forces us into the routines fall imposes and, frankly, my family was in need of their schedule. 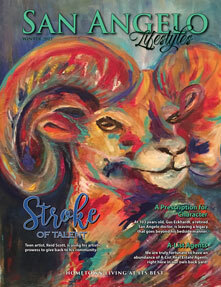 In this diverse issue of San Angelo Lifestyles, read about your neighbors making their mark on this great city in everything from art (“A ‘Burning’ Passion”) to preserving history (Articles: “The Greatest Generation” and “If These Tunnels Could Talk”). There are so many things going on around town and many milestones are being celebrated this year. 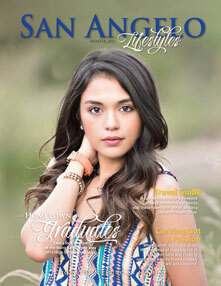 San Angelo Lifestyles also has a fresh new look and a new section, Hometown Artist, for you to enjoy. This edition of meet the artist features Steve Boster. He is one of many in the Concho Valley who contribute to the creative funky scene that is San Angelo. Speaking of talented artists, discover how Reid Scott (cover painting) has used his talents to give back to the community. As always we want to feature your events and uplifting stories about the great things and people around town. Check out our Hometown Contributors page – showcasing profiles of locals who help make SAL possible. We hope you like our new look as we are always trying to stay creative and fresh – loyal to all things good in and around San Angelo. To get your complimentary copy, go by any advertiser location listed in the back of the magazine in the Index of Advertisers. Let them know you saw their ad here in SAL. 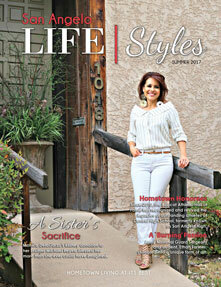 As always we thank you for reading San Angelo Lifestyles showcasing Hometown Living At Its Best. Some people are fanatics about New Year’s resolutions….I am not. But I do always try to make ‘Back to School’ resolutions which include getting into a healthy routine…. regular bed times, dinner together as a family at the table, and trying to actually cook that dinner instead of picking it up. Heck, I may even try working out this fall (that should last until at least Thanksgiving). But one thing required to get kids back into school is shot records. With this in mind a good resolution for us all would be not to neglect our preventative health care. 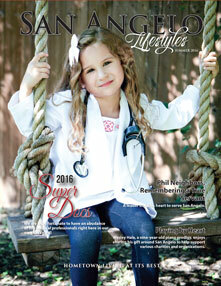 This issue is the first ever to feature Super Docs; an exclusive section showcasing the many qualified physicians in our town. Their specialties vary, but their attention to caring for you – the patient, does not. So don’t put off what ails you any longer and scroll through this list to find a doctor near you. If you are new to town use this as a guide to help acclimate yourself to San Angelo and keep your care local. As always, we thank you for reading and for the creative culture that is San Angelo! One of my new all-time favorite articles is about Lee Elder, a man I do not know personally, but am striving to be more like. You can tell a lot about a person by their actions; as they say actions speak louder than words. This Kiwanis member has over 60 years of Perfect Attendance. I would love to see our nation come back to the mentality of following through on our commitments. We are only responsible for ourselves however, so making that statement true starts at home…with ourselves and teaching our children right from wrong and the importance in investing their time in things that matter. I know Lee Elder’s family is proud of the legacy he has created for them through service to this community. Check out this article and remember, one person can make a difference – that one person can be you! God has a special plan for each of us! No one is insignificant. No one is put here by accident. I would challenge you to take your commitments seriously and show up for what matters like Lee. I plan to challenge myself to do the same in 2016 and the years to come. If you like what you see in San Angelo Lifestyles, let our advertisers know by telling them “THANK YOU” for their participation in SAL (keeping each edition FREE for you). Check out the Index of Advertisers list (located at the back of the magazine) and shop local! Do you WANT A SUBSCRIPTION? Send an email to subscriptions@ hometown-living.com and put San Angelo in the subject line to be added to our digital subscription list which will alert you to view magazines online at www. hometown-living.com. LIKE us on Facebook (with you in mind publications). San Angelo is an artistic thriving community which celebrates diversity and all things personifying ‘Hometown Living at its Best.’ Keep us in mind for all community events and article ideas. Contact Crystal with your ideas today! Summer has flown by! We feel so blessed here at With You In Mind Publications and we thank God for His many blessings to our business, community, and state. Read how He is working in the lives of your neighbors. “For it is God who works in you to will and to act in order to fulfill his good purpose (Philippians 2:13).” Remember He has a plan for you too! This issue is full of recent Hometown Happenings. So if you are new to town, all you have to do is take a look to see just a few of the many events you too can take part in. There is an organization and place that fits your interests and talents. Get involved and make San Angelo your own! Find a church, meet your neighbors, and get involved! If you would like your event or club featured email Content Coordinator, Crystal for submission details or questions. Wedding Season is HERE! Contact us for information on submitting your wedding announcements (call for pricing and deadline – Ask about DISCOUNTS). WYIM is growing and we continue to be on the SEARCH for LOCAL sales people for our West Texas magazines, as well as, writers and photographers (beginners and seasoned). Call our office or email Matt to learn how you can get involved in future publications! 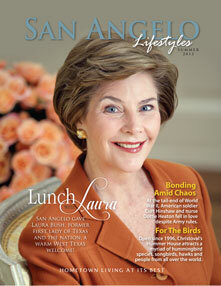 Do you WANT A SUBSCRIPTION to San Angelo Lifestyles Magazine? Email our Office Manager, Kati, and let her know you want on the SLM digital subscription list which will alert you to view our magazines online at www.hometown-living. com. ‘LIKE’ us on Facebook at: With You In Mind Publications for additional updates on all our Texas and Oklahoma magazines. We want to thank our advertisers. Let them know you saw their ad in this issue! There is no better way to show HOMETOWN LIVING AT ITS BEST, than to spend your hard earned money here in your hometown. Check out the Index of Advertisers list (located at the back of the magazine) and start shopping! 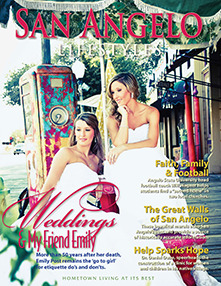 On the cover, please note the latest section for San Angelo Lifestyles, HOMETOWN GRADUATES. Please share your 2016 grad pictures to be considered in upcoming issues of SAL. Email Crystal, our new Content Coordinator, as well as your recipes, human interest article ideas, newborn shots, and events for Hometown Happenings. 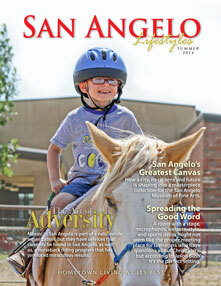 This is YOUR HOMETOWN publication and we thank you for taking pride in San Angelo. Speaking of pride, we are proud to announce the birth of our new baby girl this November, Georgia Lee Martin. We want to thank our advertisers as always their participation allows SAL to come FREE of charge to you! There is no better way to show HOMETOWN LIVING AT ITS BEST, than to spend your hard earned money here in your hometown. Check out the Index of Advertisers list (located at the back of the magazine)! WANT A SUBSCRIPTION? 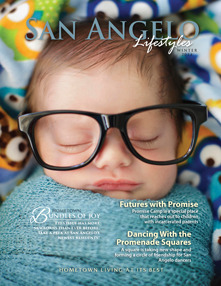 Email our talented Office Manager, Kati, and let her know you want on the San Angelo digital subscription list which will alert you to view our magazines online at www.hometown-living.com. ‘LIKE’ us on Facebook at: With You In Mind Publications for additional updates on all our Texas and Oklahoma markets. 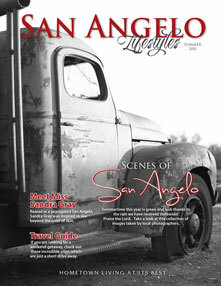 At San Angelo Lifestyles we are excited to bring you this summer edition with more Hometown Happenings than ever before. You have been busy San Angelo! Take a look at who was where when (did you follow that?). Please also try some of the delicious recipes submitted to this second printing of Hometown Cookin’ . This is YOUR HOMETOWN publication; make it your own by sharing with us: recipes, article ideas, weddings, newborn pictures, and events. With sharing in mind, we would like introduce our two newest employees, Kati Beggs, Office Manager, and Hana Miller, our new Content Manager. NEW to SAL…HOMETOWN WEDDED BLISS. Please feel free to send in your wedding announcements for the WINTER edition (call for pricing and deadline – there is a discount for early submission so don’t be late!). 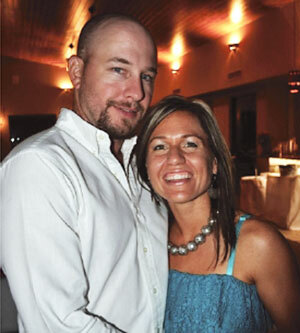 Send your wedding announcement questions and submissions to heather@ hometown-living.com. San Angelo Lifestyles always strives to put jobs back into the local community by utilizing local photographers and writers (both beginners and seasoned). We are actively looking for both so please email us if you would like more information on getting involved in SAL and seeing your work in print! We want to thank our advertisers! Please help us to show appreciation by SHOPPING LOCAL and mention that you saw their ad in this publication! Their participation allows SAL to come FREE of charge to you! Check them out in the Index of Advertisers (last page of the magazine) and go by to get your copy today. 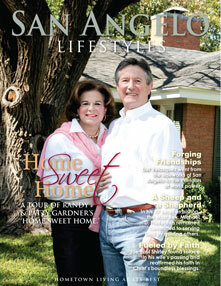 Also, view our magazines online at www.hometownliving. com & ‘LIKE’ us on Facebook at: With You In Mind Publications for additional updates on all our Texas and Oklahoma markets. Is there anything more precious than a newborn baby?! SAL has had a baby boom with more newborn submissions than ever before! We welcome you and your photographer to submit your new blessing to be featured in Hometown Bundles of Joy. We want to say congratulations to Mary and Nathaniel Hankins on both being named Citizen of the Year! San Angelo has so many one of a kind attractions; the Elusive Concho Pearl tells us all about one of these. However, we know our childrenare our greatest resource. Please read At the Heart and Futures with Promise to learn how you can make difference in a Concho Valley child’s life this new year. We are debuting a new section entitled, In Good Taste, featuring recipe submissions from across the town. Try a new dish this week that truly has a San Angelo flavor! As always we want to thank our advertisers for their involvement – help us to thank them by Shopping Local. Their involvement allows this publication to come FREE of charge to you! Check them out in the Index of Advertisers (end of the magazine) and go by to get your copy today or if you see a copy please know you can take it home with you. 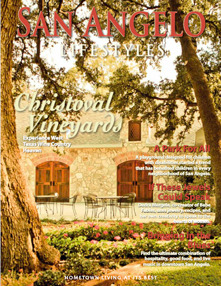 To view our magazines online visit www.hometown-living.com & ‘LIKE’ us on Facebook at: With You In Mind Publications for additional updates on San Angelo Lifestyles and our other TX and OK markets. Hello San Angelo! Summer is starting to wind down and for the locals it was a busy one. Former First Lady Laura Bush graced us with her presence - which was a treat for all. 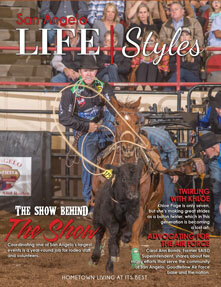 San Angelo Lifestyles is no stranger to good news and it seems like the local economy is headed in the right direction. This issue is full of stories of local heroes and non-profit organizations that are on a mission to help others with no recognition in mind. San Angelo is a patriotic community that does not overlook the price America’s military and their families have paid for our freedom. 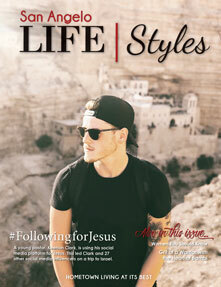 Check out a few of those families and their stories in this edition. It is our hope that you will not only read these articles but take time to reflect on the sacrifices these individuals make in an effort to better our lives. Please take the time to thank these service men and women, along with their families, the next time you pass them on the street or maybe when you are enjoying a chicken fry for lunch at The Mesquite Bean! Take it from someone who travels all over the state, learning about local heroes and real “hometown living,” when I say that San Angelo truly has something special! From friendly hardworking West Texans to a culturally diverse downtown like no other, this town is one of my favorite places to visit. So kick back and enjoy this issue with a little hometown pride. You have earned it! 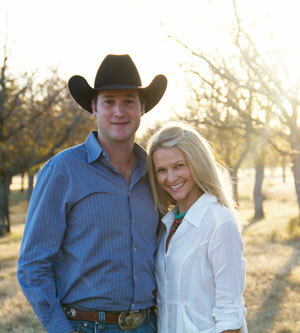 San Angelo is abuzz with the stock show and rodeo season upon us! What a fun time of year! 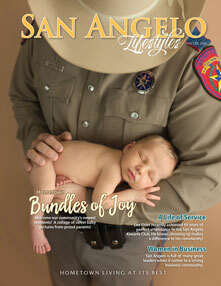 But this is hardly San Angelo’s only busy season as you will see in this edition of San Angelo Lifestyles. Speaking of backyards, check out the Santa Rita home of Randy & Patty Gardner (on the cover) – complete with a picturesque gazebo perfect for entertaining! Take some ideas to use in your own home, I know I did! On a personal note, we would like to thank our fantastic key writers, Becca Nelson Sankey & Sabrina Tatsch, who have worked with us for many moons now. They always add a personal touch to their professional work – as well as keep a pulse on the busyness that is San Angelo! And thank you to Gus Clemens who uses his vast experience to add depth to the stories he writes in this publication. And photographer, Don Treadwell, a hard worker who we depend on! We recognize you for all you do! As always we want to thank our advertisers for their involvement – help us to thank them by SHOPPING LO CAL! Their involvement allows this publication to come free of charge to you! Check them out in the Index of Advertisers (last page of the magazine) and go by to get your copy today. We give thanks to God for another memorable year and great things to come. Click the cover to read this magazine.